Welcome to my world! A heady mix of cashflow, balance sheets, up-skill, suppliers, pricing, budgets, accountants, cloud accounting, social media, GST and those dreaded debits and credits. It’s a complex and thorny world and that’s why I am here, to cut a clear path through the jungle for you to follow. First thing’s first, the key to knowing your business is to know your numbers. Let’s make this easy. 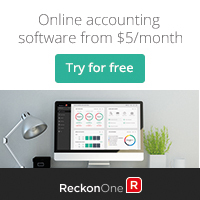 Over the next several months, AusMumpreneur’s newest partner Reckon will lead an exploration into the mysterious realm of accounting, a world which is forbidding and intimidating for those who’s skills lie elsewhere. We will be mapping this world in simple lay terms, walking you through topics that will replace your fear of accounting with the tools you need to ensure your confidence in the business world. Here are some tips on mastering your small business journey into numbers. Do they specialise in small business? Interview them, ensure they have availability and are accessible, make sure you have a rapport and talk frequently. Communication is key. Don’t avoid them. Ensure the experience and qualifications of your chosen financial professional are also matched by their ability to deal with your software provider and chosen products. Reckon has an Accredited Partner Network of qualified experts that we recommend; look for one in your local region with Partner Search. Visibility into your finances is core to the viability of your new business. Know where your dollars are going and when they are hitting the bank account. Reckon One supplies a fantastic Dashboard with drill down, real time business information for you and can be shared via the cloud to your trusted advisor, together with clear and easy budget and forecasting options. Ensure you are aware of ATO important dates; when is BAS and ITR due? Plan your cashflow for large expenditure. Tip: Most banks provide an offset account for GST; this will assist with the ebbs and flows of the GST arena. Banks are not the only providers of cash for growth. With the rise of Australia FinTech market look for smaller institutions that are familiar with the needs of the entrepreneur or start-up. This results in better rates, smaller loans – finance pre-orders or expansion. It is of the utmost importance that you listen, read and educate yourself. Be informed about the current thinking around your industry and community. Resources are everywhere, take time to read them. Surround yourself with likeminded souls. My motto is to always listen and learn. Yes, everyone! Pick up the phone and ask, there’s nothing to lose. Discuss options – 12-month plans, buying in bulk with suppliers, changing terms of payment to extend your cashflow, free delivery, trade services for goods, Insurance by the month, use free skype calls for business, conduct meetings via web (zoom, GoToMeeting) to reduce travel costs. You are the expert in your product, outsource to local specialists for Technology, Human Resources, Marketing and Design Remember to negotiate. You are a valuable commodity that comes with a market rate. You are investing hours into your business, living and breathing your passion. Reward yourself – become an expense and pay yourself even as little as $50 a week or a small percentage of your monthly profits (not out of revenue). These tips will be thoroughly explored throughout the 2017 Business school series together with a further deep dive into the journey of the small business success. My motto to being successful is to Say Yes & Listen. Yes to opportunities and Listen to experiences and learn from others. A passionate advocate for gender parity, a global business leader and driver of a mentoring culture, Louise Marshall is a peerless senior education professional with vast experience in delivering top tier training to the world’s accounting and professional services industries. Mother of 1 and long term global manager of lean and productive teams, Louise has held senior leadership roles for decades and is currently making her mark as the Global Head of Learning and Development at Reckon. 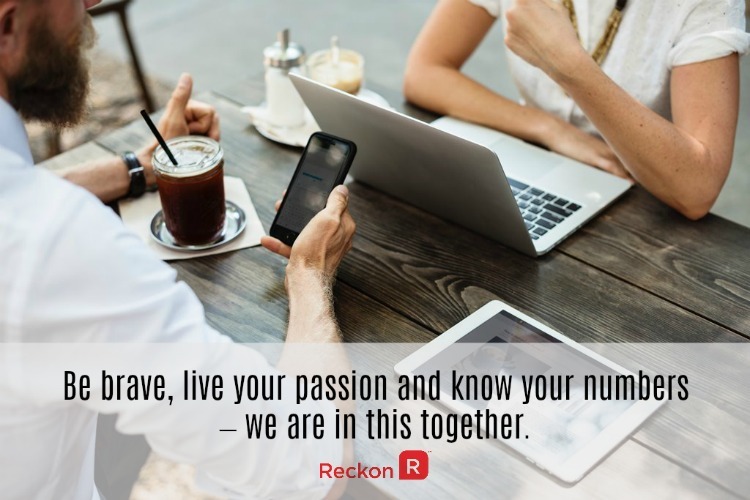 During her tenure at Reckon, Louise has grown the training team from 2 people to over 20 and is responsible for executing every conceivable aspect of training across the entire Reckon product suite, delivered on a global scale. 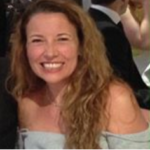 Louise recently created the Reckon Training Academy brand to further streamline her ability to design, execute and deliver world class training solutions for the IT, start-up & accounting industries.